Are you a Heyoka? The Most Powerful Type of Empath? Being an empath means that you’re affected by other people’s energies, and have an innate ability to feel and perceive others intuitively. An empath’s life is unconsciously influenced by the desires, wishes, thoughts and moods of others. It’s more than just being sensitive. An empath can feel physical sensitivities and spiritual urges, and they often can determine the motivations and intentions of others. Being an empath isn’t a learned trait. You were either born an empath, or you weren’t. Many empaths experience the physical symptoms of others in times of illness or high emotions. As an empath, you may experience chronic fatigue or unexplained aches and pains. Many empaths are labeled hypochondriacs due to their tendency to fall ill, because their gift is commonly misunderstood. Empaths can be hard to relate to and difficult to understand, but they can share the emotions of others. They have the ability to read body language and feel emotion, allowing them to understand what someone else is going through. 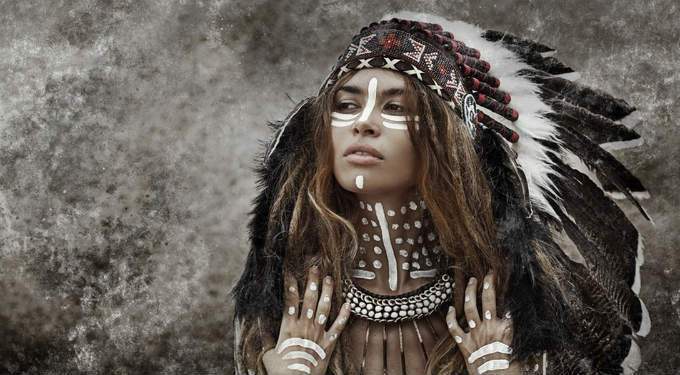 An empath has different levels, and the most valued type is known as Heyoka. 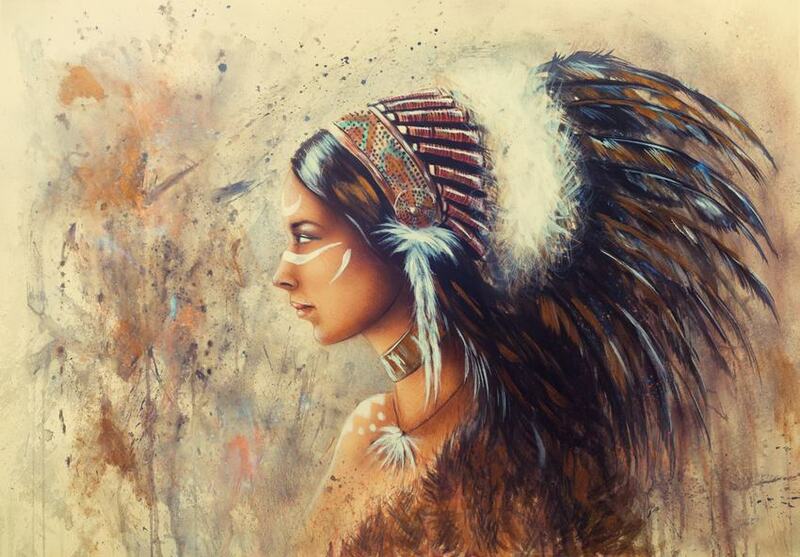 Heyoka is a Native American term for those who are emotional mirrors to those around them. The word means “sacred clown” or “fool.” Heyokas show others their faults, shortcomings and weaknesses, but they also provide a way to help overcome these weaknesses. Some of the traits of a Heyoka may include being born dyslexic (thinking backwards), being born breach (coming into the world backwards) or appearing younger than their actual age. Heyokas may receive backlash for their gifts, but it should be known that their intentions are good. They only mean to help those around them. If you feel irritated or angry after leaving a Heyoka, it may be a sign that they were highlighting that part of you. If you are filled with a sense of love and acceptance after visiting a Heyoka, he or she may be trying to convey to you the importance of loving and accepting yourself for who you are. The mirroring that Heyokas practice may teach you to open your eyes to a part of yourself that you didn’t know existed. It may be easy to run from the experience or disregard it, but Heyokas are only there to help you through your journey. If you are experiencing pain, they feel it. If you are experiencing love or joy, they feel it too. The best way to learn from an experience with a Heyoka is to arrive with an open mind and an open heart. Pay attention to your reflection in order to learn from it. Instead of becoming upset if you see something different than you’d hoped for, embrace it and find a way to use it. 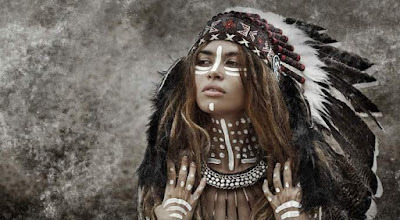 A Heyoka is wise, and his or her energy is firm, forthcoming and strong. If you’ve been feeling a bit off, they may know what’s bothering you even when you aren’t sure yourself. Learn to embrace the gift they’ve given you and use it to grow. SHOCKING! 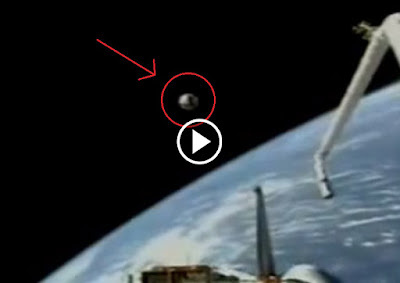 Officially Verified ‘UFO’ Footage From NASA Proves We Are NOT Alone! Many NASA astronauts have expressed their belief that we are not alone, and that we are being visited, and that many of these UFOs are indeed of extraterrestrial origin. The eye-opening part of the video comes at around the 30 second mark. Definitely strange to say the least. Very rarely will you find someone out there that really understand Buddhism; not because of disinterest, but because of all the rumors and disinformation floating around out there. These jokes help to give a little more of an understanding about these deep and wonderful spiritual teachings. Pass it around to your friends for a chuckle! What did one Zen practitioner give to another for their birthday? 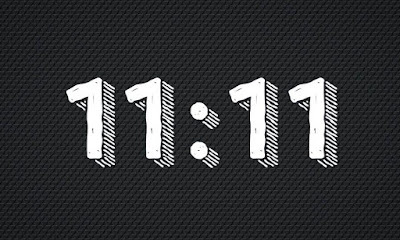 Angels and spirits like to contact us through various methods, such as playing a recurring song on the radio that may have special significance, answering a prayer, flipping to a certain page in a book we’re reading, or even directing our attention to repeating numbers on a clock or sign, such as 11:11. At first, this might seem like a silly coincidence, but by looking further into it, you will find that it has a powerful spiritual message hidden within. We are all one family, and we are in this together. Don’t look outside yourself for any answers; it will only lead to more confusion and feelings of disempowerment. 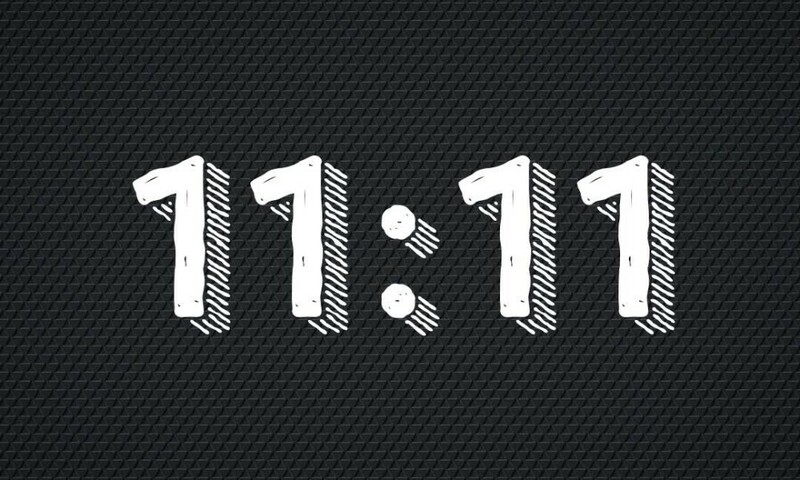 Trust in the power of the universe to help you heal, and anytime you notice 11:11, monitor your thoughts and make sure that your vibration matches what you want to see in your physical reality. Another dire warning comes from one of the greatest and smartest men on Earth, Professor Stephen Hawking. According to the world-renowned astrophysicist, the human race must leave our planet in the Next 30 years in order to avoid cataclysmic events caused by over-population and climate change. During a speech at the Starmus science festival held in Trondheim, Norway, the world’s smartest man noted that it was very important that humans establish a colony on the moon and Mars—taking with us an ‘intergalactic Noah’s Ark, filled with plants, animals, fungi, and insects, which will allow us to create and populate a new world. According to the British scientist, it is only a matter of time before our planet is destroyed by either a massive asteroid or comet impact or soaring temperatures or over-population. “We have given our planet the disastrous gift of climate change, rising temperatures, the reducing of polar ice caps, deforestation and decimation of animal species. 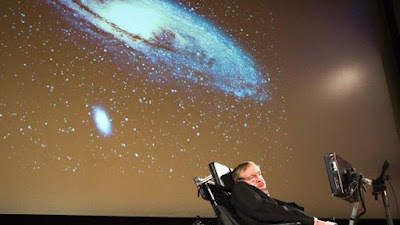 Like many other scientists have already warned, Professor Hawking also said that our planet would eventually be impacted by a catastrophic asteroid or comet. According to Professor Hawking, we need to go to the Moon and Mars eventually. Professor Hawking noted that a lunar base could be built within 30 years and a colony on the surface of the red planet within 50 years. However, Professor Hawking did not stop there, suggesting that the human race must leave the solar system and venture out to the nearest solar system Alpha Centauri—home to a planet called Proxima B which experts say is most likely very similar to Earth. “It is clear we are entering a new space age. We are standing at the threshold of a new era. Human colonization and other planets is no longer science fiction, it can be science fact. 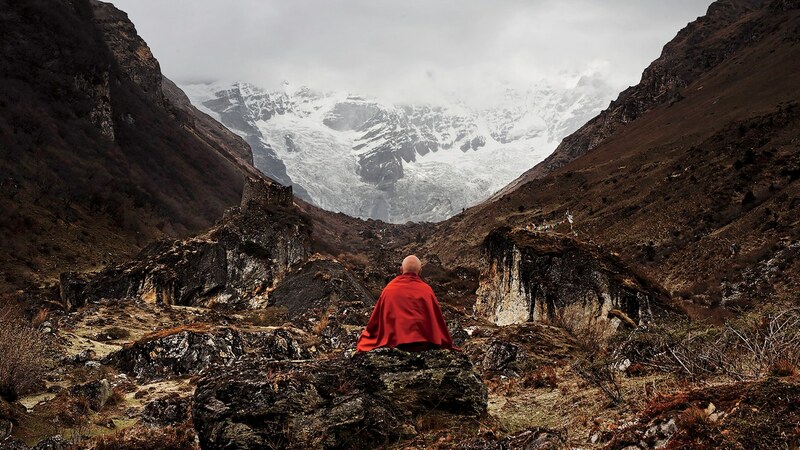 Here are 5 things Buddhism says will make you happy. And they’re backed by science. 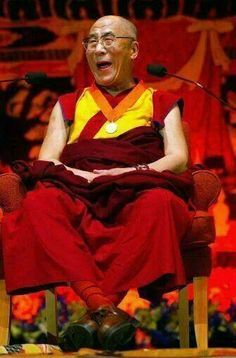 Neuroscience is learning what Buddhism has known for ages: our happiness is determined by what’s going on inside our minds rather than any external factors. 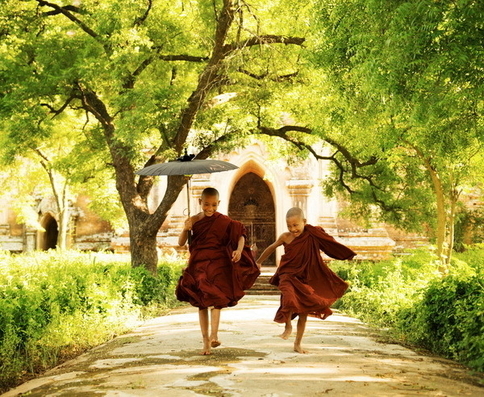 Buddhists say that the key to a happy and content life is inner peace. New research in neuroscience is starting to agree and even suggests that adopting a few Buddhist habits can be beneficial in cultivating a happy life. Buddhism has always emphasized the practice dana, or giving. In fact, in Dighajanu Sutta, generosity is identified as one of the four traits conditioning happiness and wealth in the next life. Science backs this up. Research shows that you’ll feel happier if you spend that money on someone else, instead of yourself. A 2008 study gave 46 volunteers an envelope with money where half of the participants were instructed to give that money to someone else and the other half were told to spend it on themselves. Sure enough, those who spend their money on others felt higher levels of happiness. This is of course a fundamental practice of Buddhism – mindfulness. Mindfulness is all about paying attention to the present moment without judging it. Buddhism says that the present moment is the only moment you need to find happiness. Happiness is found by living in the now, according to a major study into mental well being. Psychologists at Harvard University collected information on the daily activities, thoughts and feelings of 2,250 volunteers to find out how often they were focused on what they were doing. They found that people were happiest when they were engaged in their tasks and least happy when they were ruminating or daydreaming. Buddhists say that desiring is one of the most common causes of human suffering. Instead, Buddhists say that’s incredibly important to appreciate what we have right now. Science, again, backs this up. In a recent study, psychologists at UC Davis had 3 groups of participants keep weekly journals focused around a particular topic. One group wrote about the hassles they experience in life, the other group wrote about major events, and the last group wrote about things they were grateful for. After 10 weeks, those who were told to write about things they were grateful for ended up feeling happier and more optimistic about life. Meditation originated from Buddhism and many studies are now showing that meditating – focusing intently and quietly on the present for a period of time – can help lessen feelings of depression and anxiety. Brain scans have been conducted on Buddhist monks who show well-developed brain areas linked to heightened awareness and emotional control. 5) Get out and exercise. There is no denying the high you feel after a run in the park or a swim at the beach. Exercise not only boosts your physical health–as one can easily see by watching a marathon or a boxing match–but it also improves mental health. According to a recent study, every little bit helps. People who engaged in even a small amount of exercise reported better mental health than others who did none. 1. 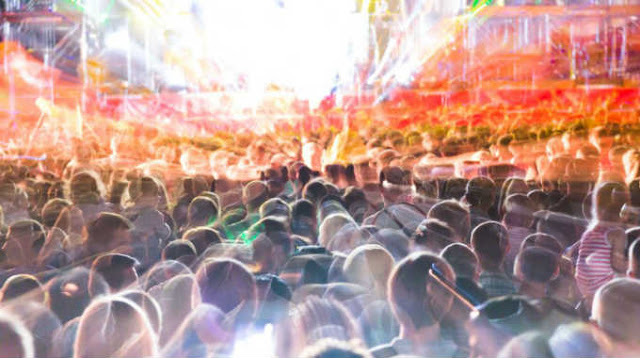 Lightworkers don’t feel like they “fit in” with the majority of the people in the world. 2. Lightworkers feel that that they were different from others, and misunderstood by most people (sadly, often members of their own family). 3. Lightworkers believe they are here for a divine “purpose,” even if they haven’t found out what it is yet, and this nags at Lightworkers and generates a chronic feeling of inner urgency and restlessness. 4. Lightworkers’ childhood was difficult, painful, and/or lonely. 5. Lightworkers are very compassionate, and they are always going out of their way to help others. 6. A lightworker’s very nature is that of a helper – often to the point where Lightworkers have trouble saying “no” to requests from people. 7. Lightworkers are empathic – meaning that Lightworkers can literally FEEL other people’s emotional states, particularly if they are in pain. 9. Lightworkers crave love and acceptance, yet have had a hard time finding it, and they feel discouraged from many years of relations hips that just don’t work out. Although Lightworkers often feel lonely, they would often rather spend time alone than hang out with people who don’t understand their true self. Lightworkers sometimes find themselves “faking it” in social settings in order to fit in better and not be seen as “the weird one” in the room. 10. Lightworkers tend to be polite and kind to others, even when they are not polite and kind in return. 11. Lightworkers have little interest in many of the things that the masses are obsessed with like sports, celebrity gossip, fashion trends, and so forth. Lightworkers are not regular viewers of the nightly news, because it’s just too negative and depressing. 12. 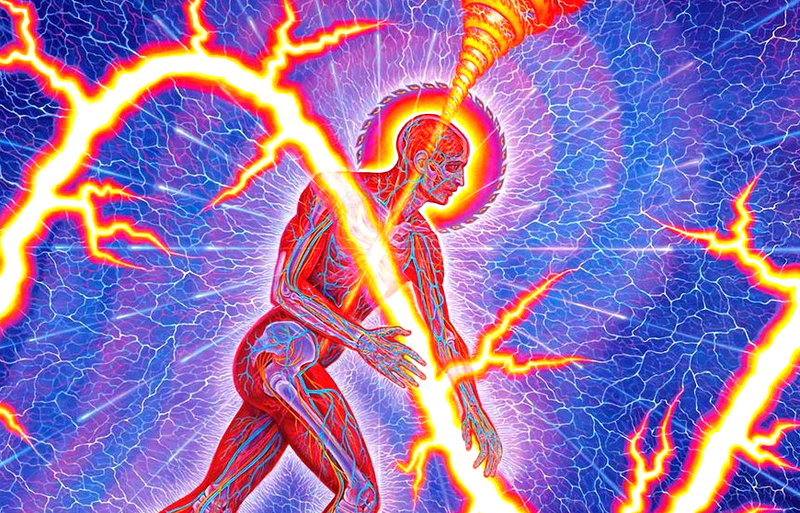 Lightworkers find the human race’s violent tendencies horrifying and incomprehensible, and Lightworkers would love to make the world a better place. 13. Lightworkers value peace and harmony. Lightworkers are not competitive and often don’t stick up for themselves. Lightworkers dislike arguing and fighting (it might even make them feel ill). However, Lightworkers can become very angry when they see any person or any living thing being treated cruelly or unfairly. (They even cry when they see trees being cut down.) In particular, violent treatment of children or animals makes them crazy. 15. Lightworkers’ careers are also in the spiritual arena: Lightworkers do psychic readings, read Astrology charts, practice Feng Shui, or Reiki. Lightworkers are ministers, yoga teachers, doing shamanic work, and so forth. 16. Lightworkers’ careers are in creative fields such as art, music, writing, acting, designing jewelry – anything that makes use of inspired creativity and imagination. Lightworkers may be naturally gifted in one or more areas of the creative arts. 17.Even if you are not involved in the above three career categories, you gravitate towards them as a hobby, or you volunteer for causes you believe in, and so forth. 18.Lightworkers are not as materialistic as the general population. Lightworkers don’t care about status symbols, and fancy expensive stuff – as long as they have enough money to live decently, they are satisfied. 19.Lightworkers are very sensitive and cry easily. 20 Lightworkers are not religious in the traditional sense (even if you were raised in a very religious household), yet they are deeply spiritual. 22. 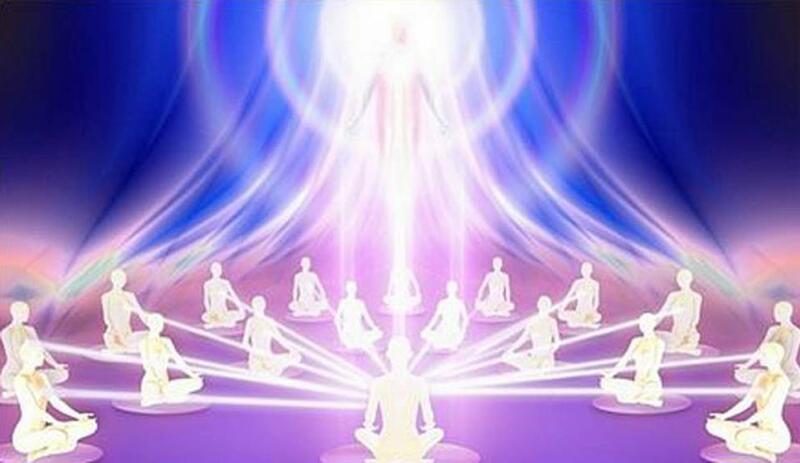 Lightworkers read books and/or attend lectures on New Age topics or personal-growth topics. 23. Lightworkers tend to have dreams that are very vivid and interesting. 24. Lightworkers may have had other so-called “supernatural” experiences throughout their lives (received information psychically, seen UFOs, etc.). Lightworkers are not freaked out by supernatural events as many people are – in fact, they seem normal and natural to Lightworkers. 25. 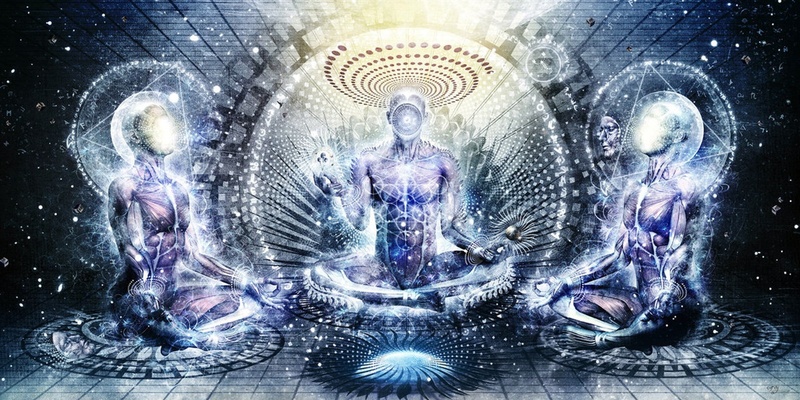 Lightworkers are not terrified of death like most people, because Lightworkers have a spiritual outlook on this subject, and you know that spirit lives on even after the body dies. 26. Lightworkers tend to really love music, art, nature and animals. 27. Lightworkers are drawn to natural foods, and may be vegetarian or vegan. 28. Lightworkers can be sensitive to loud sounds, strong smells and crowds. Lightworkers, in general, have found it difficult to live in this world. This planet is hard for Lightworkers to take, because there is so much violence, mindlessness, destruction, disregard for nature and all of earth’s creatures, and so forth. Also, the rampant selfishness, deceitfulness, aggressiveness and greed in the population is disgusting to Lightworkers. 31. All their lives, Lightworkers have yearned to go Home (even if you don’t consciously remember where Home is), and they may even have thought about suicide when the pain feels overwhelming, or simply wished to die. Some Lightworkers feel they don’t belong in this world. However, Lightworkers do know that they came to this planet to help, and as much as the weariness and sometimes loneliness of life gets here, Lightworkers are still here and still helping! These are some of the characteristics of Lightworkers that we have observed. If you find yourself checking “yes” to many of the characteristics on this Lightworkers list, you are indeed a Lightworker.